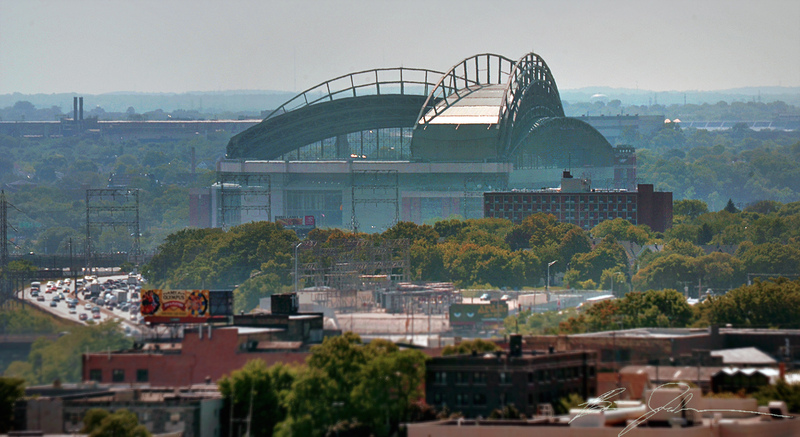 A view of Miller Park from Catholic Financial Life Building. A view of Miller Park from Catholic Financial Life Building. Photo taken August 8th, 2014 by Brian Jacobson.